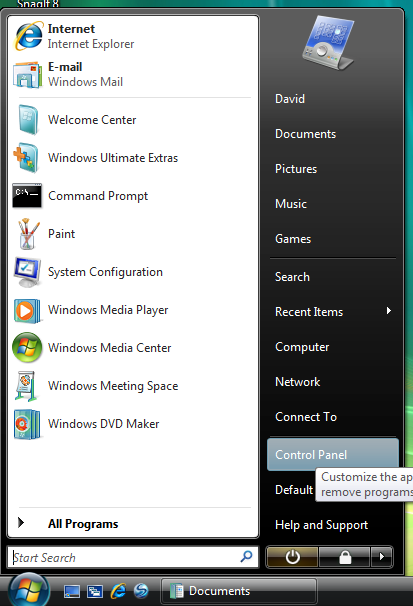 Click on the Start Button in the bottom left corner, then move your mouse over to "Control Panel" and click your left mouse button. 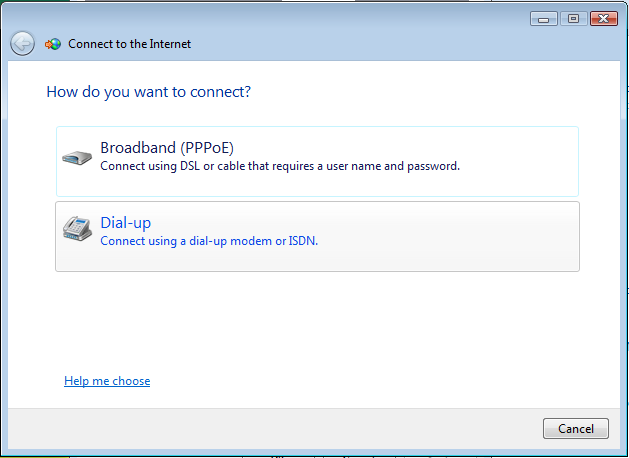 Next click on the green text that says "Network and Internet"
Next click on the green text that says "Internet Options"
Once the Internet Properties window is open, click on the TAB at the top that says "Connections". Then click the button in the upper right corner that says "Setup". 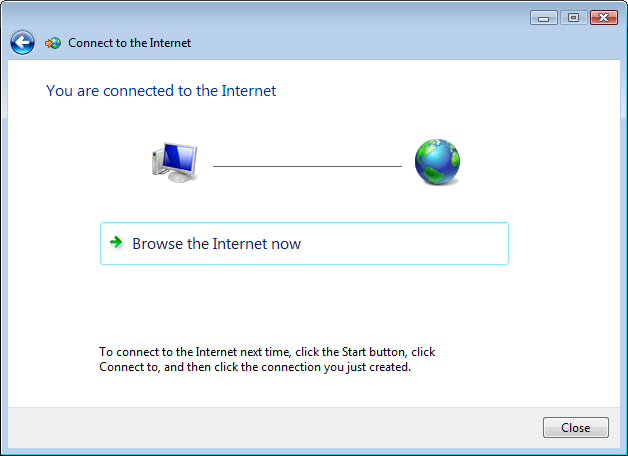 Now the "Connect to the Internet" windows will apear. 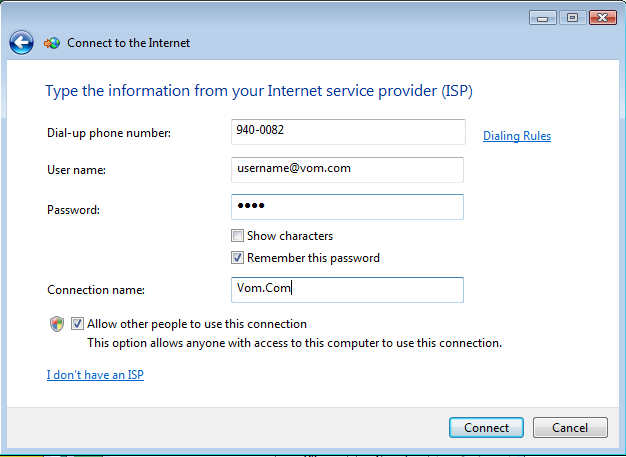 Click on the box that says "Dial-up - Connect using a dial-up modem or ISDN"
Then enter your Vom.Com email address. Then put a check next to "Remember this password"
Then give the connection a name. Then put a check next to "Allow other people to use this Connection". 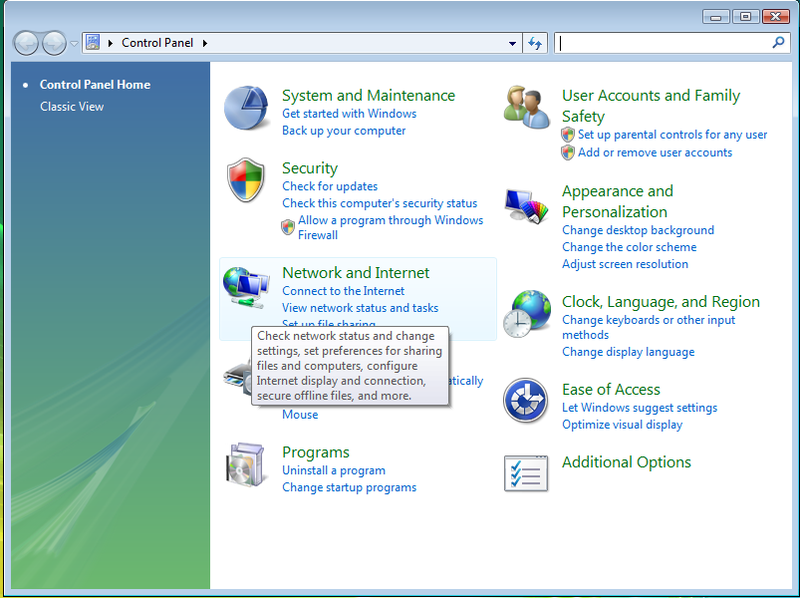 Then click the Connect button at the bottom right. 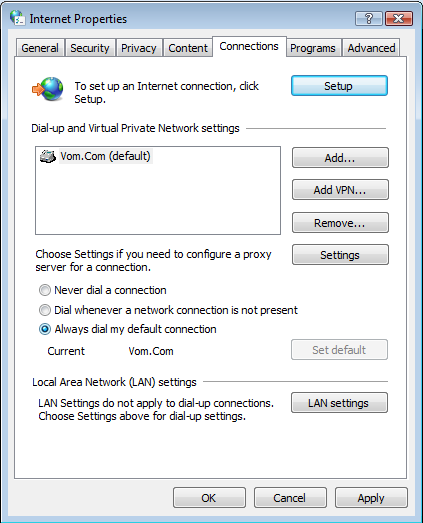 Now Windows will try to dial the connection to test that it is working. You can let it go through and connect, or you can click the Skip button at the bottom right corner. If you skipped the test, You will get this window. 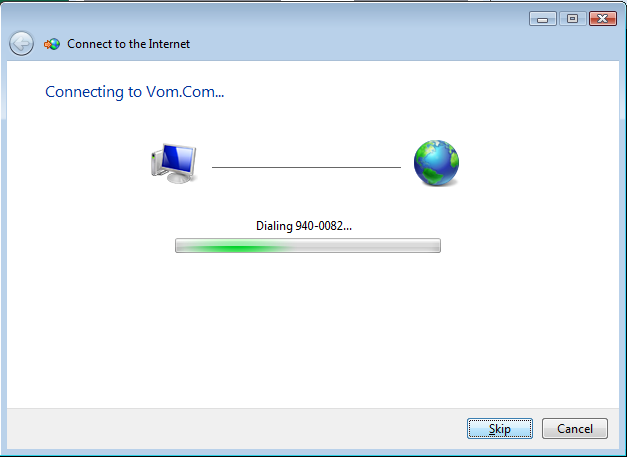 Just click on the box that says "Set up the connection anyway". 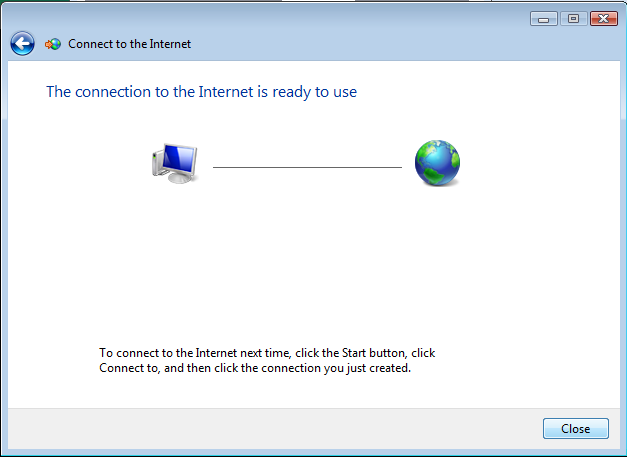 The next page should say "The connection to the Internet is ready to use". 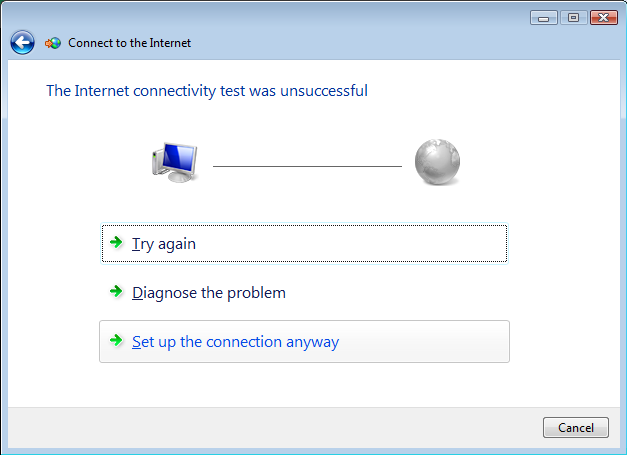 If you chose to let Windows test the connection, and it was successful you should get this page. Just click close at the bottom right. 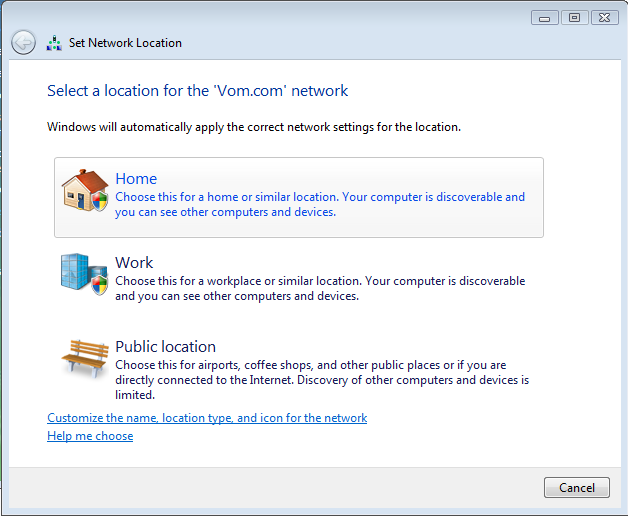 Now you have to tell Windows what the connection is primarily used for Home, Work, or Public Location. For most situations, you should choose home. 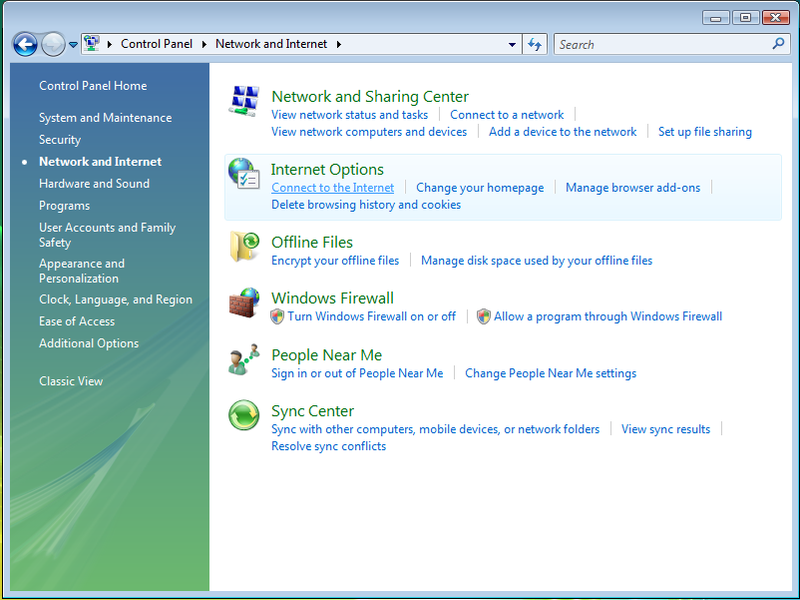 Once you have told Windows what the connection is used for, You will get a confirmation screen that Says "Successfully set network settings". Click Close at the bottom right. 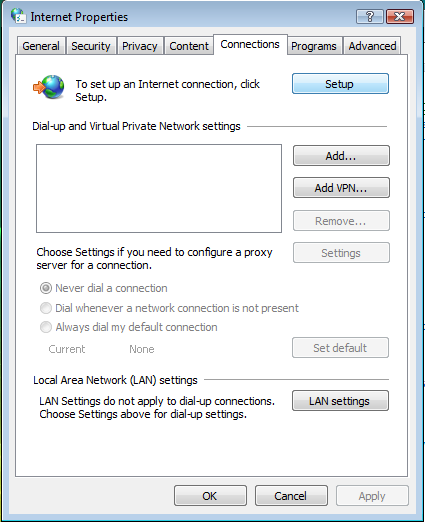 Lastly, in the Internet Properties window you will want to select "Always dial my default connection".